Wow, I thought, they even put the wrapped gift in a decorative shopping bag? I thought the bag looked a little sloppy so I decided to remove it when I got home. Guess what was inside? My unwrapped gift. That purple garbage bag? 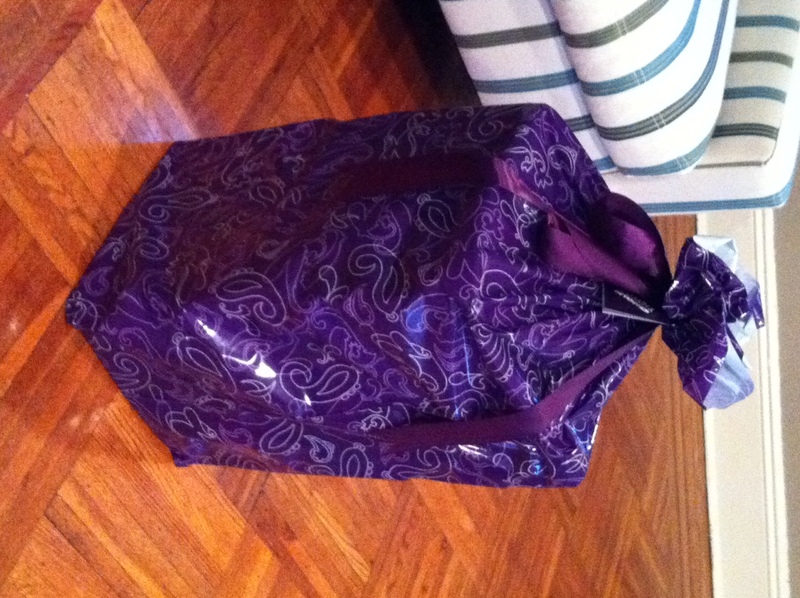 The “gift wrap.” Had I purchased a large, unwieldy gift (something cylindrical, a basket perhaps? ), the gift sack might be appropriate. Honestly, I’d be happy just throwing a bow on it. But a box? And ten minutes?? Just say no to the gift wrap at Bed Bath and Beyond. I'm a happy wife, a mom to two sweet boys, and an English teacher. I use this blog to chronicle the happenings in my life, recipes and restaurants I like, and the ups and downs of parenting. I hope you enjoy reading!